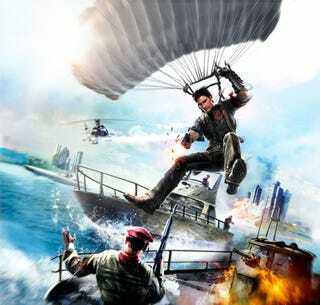 Instructions: 1) Download the Just Cause 2 demo here; 2) play, play, play; 3) submit your video to contests@gawker.com. Click here for full contest details. Winner gets a PS3!